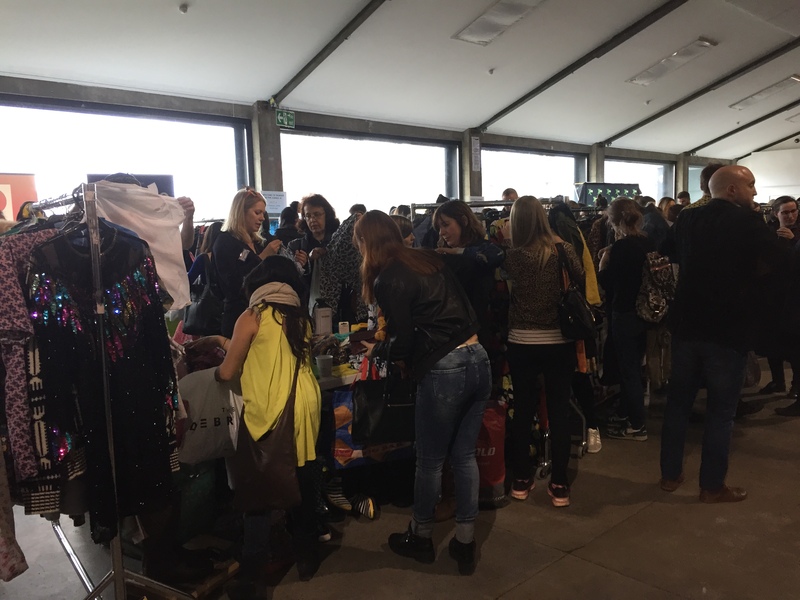 Celebrity Jumble Sale – My Amazing Fashion Finds! 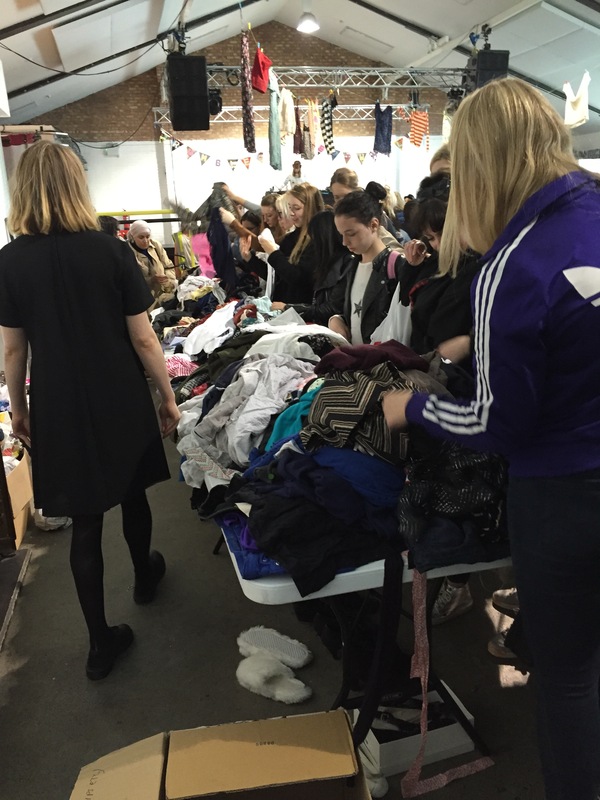 Rumble In The Jumble is London’s number one celebrity jumble sale. Hosted by The Music Circle and organised by BBC Radio 1’s Gemma Cairney, this weekend saw its fourth year running with even bigger and more exciting items. 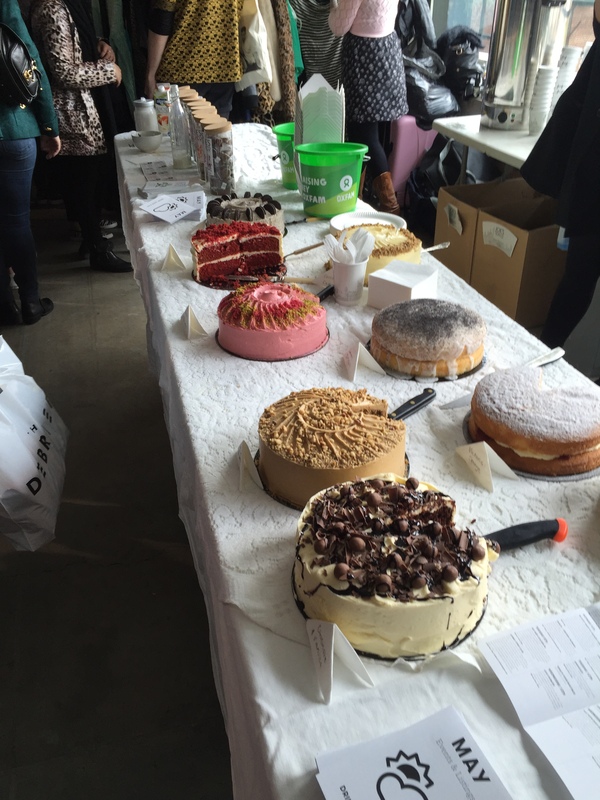 All proceeds of the event go to Oxfam, a very reputable charity here in the UK. This year their campaign focuses on greater gender equality in Myanmar, Burma, and to assist with the Nepal earthquake appeal. Alexa Chung, Annie Lennox, Andy Bell, Annie Mac, Belle & Sebastian, Beth Ditto, Beth Jeans Houghton, Blood Red Shoes, Bombay Bicycle Club, Caroline Flack, Nicole Scherzinger, Catfish & The Bottlemen, Claudia Winkleman, Daisy Lowe, Daughter, David Gandy, Dawn O Porter & Chris O Dowd, Duke Dumont, Ella Eyre, Enter Shikari, Fearne Cotton, Florence Welch, Foals, Friendly Fires, Jameela Jamil, Jessie Cave, Laura Marling, Lauren Laverne, Lianne La Havas, Mark Ronson, Metronomy, Mumford & Sons, Nick Grimshaw, Paloma Faith, Rudimental, Sali Hughes, Sarah-Jane Crawford, Hot Chip, Alex Jones (The One Show) and Toddla T. So as you can see there really was a whole host of celebrities involved! There were a variety of one-off items including a dapper suit from Mark Ronson, Nicole Sherzinger’s glizzy dress and Fearne Cotton’s Mulberry boots. Unfortunately she is a size bigger than me so I didn’t buy them. In amongst the celebrity items, which were ticketed so that you knew who they belonged to, companies had generously donated brand new items. For example, ASOS, Whistles, Barbour, Oasis, Monki, Smashbox cosmetics and Pringle. 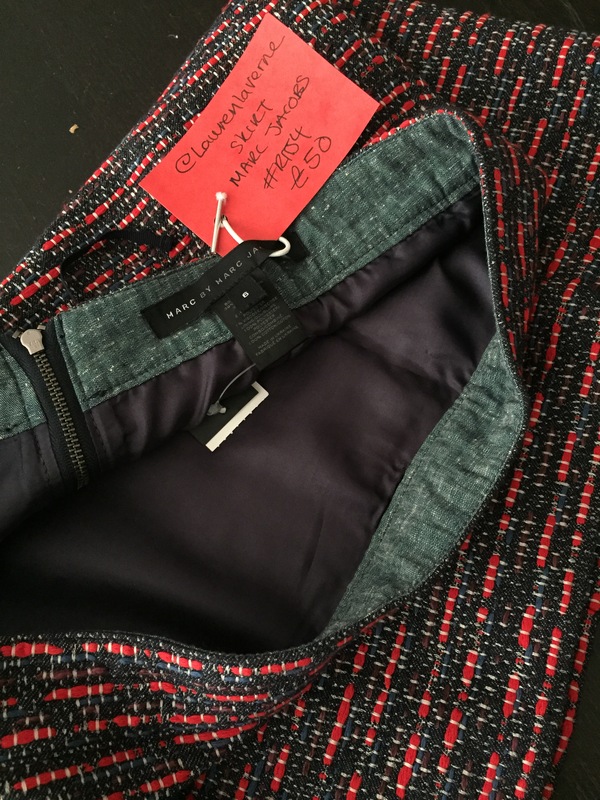 The Glamour Magazine UK and Elle UK had raided its fashion closets to donate items that had previously appeared in fashion shoots. 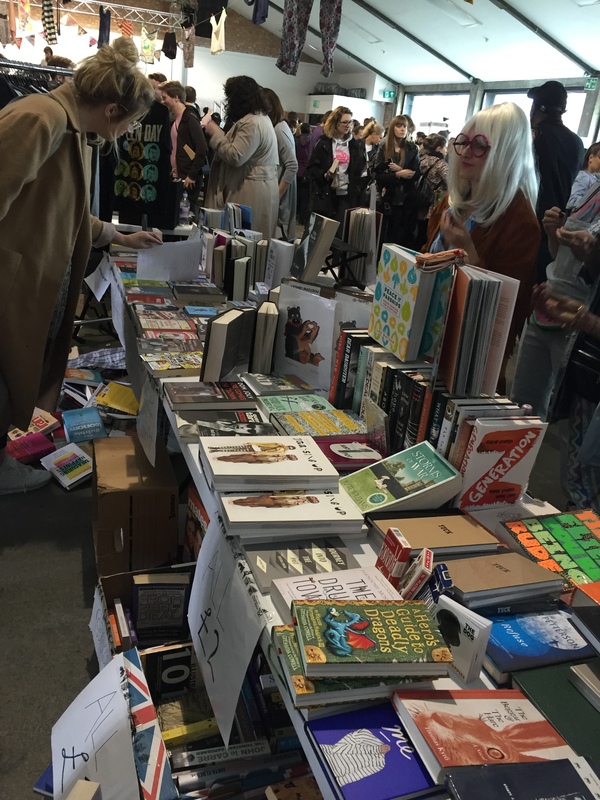 There were lots of signed books, records, prints and CDs. The cake stand looked incredible. I caved and had the biggest and most delicious piece of Oreo frosted cake. There was various well known faces at the event including the hunky Rick Edwards, who sold me a pair of socks! He’s a UK TV presenter and hosts the Made In Chelsea aftershow party. I bought these Anya Hindmarch stickers. They’re sort of like fabric patches that you can stick to clothing, bags, iphone covers etc. 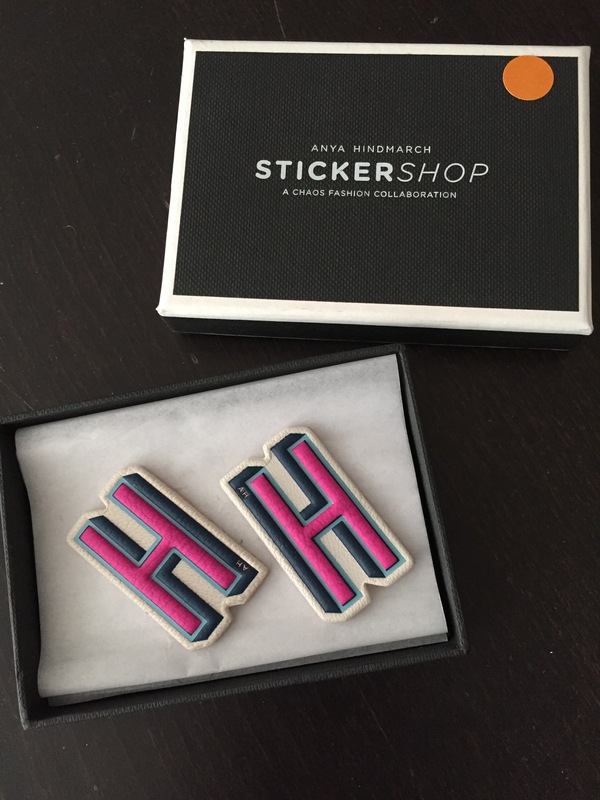 I just HAD to buy them, I mean I am called H afterall. These retail instore for £35 each. I paid £1!!! How awesome is that! Next, I got these Pringle heart socks and another pair of Keds!! If you remember my previous post with my floral lace up Keds, you’ll know that I absolutely love these sneakers. These are similar style to Vans slip ons. Gorgeous and perfect for the Summer wearing with shorts. The socks were £2 (brand new!!) 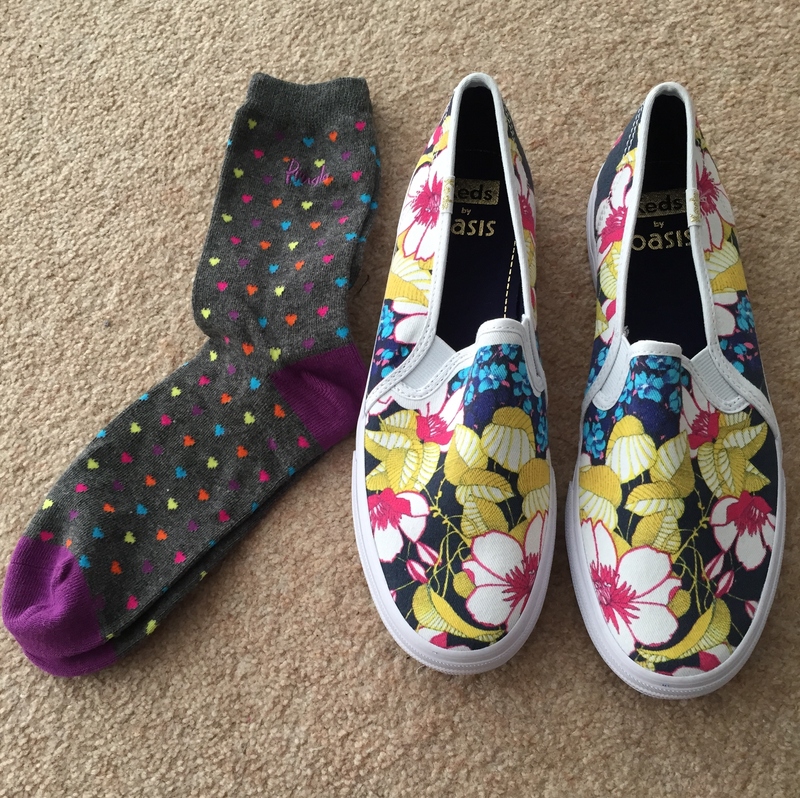 and the Keds were £20 (also brand new). They retail for £45 in Oasis. Lastly I got this cream floaty dress by Topshop. 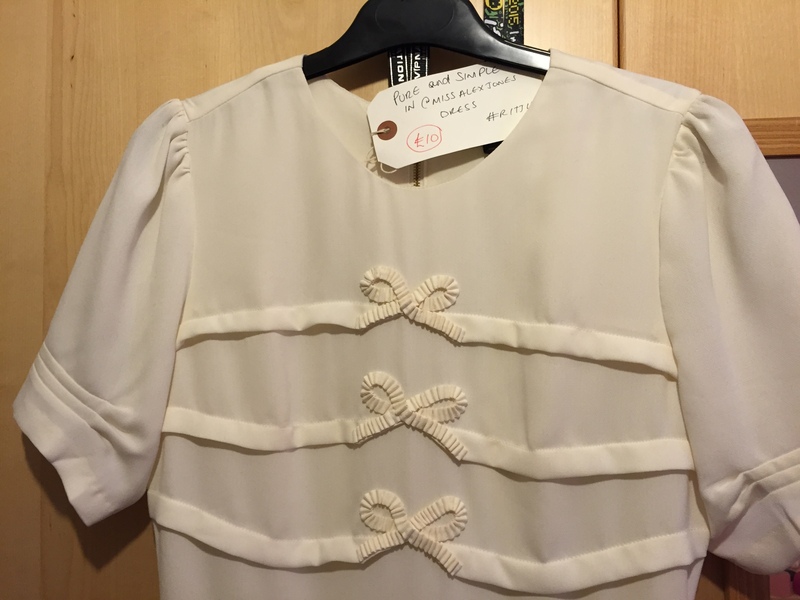 It has this gorgeous pleated design on the front and it was only £10. 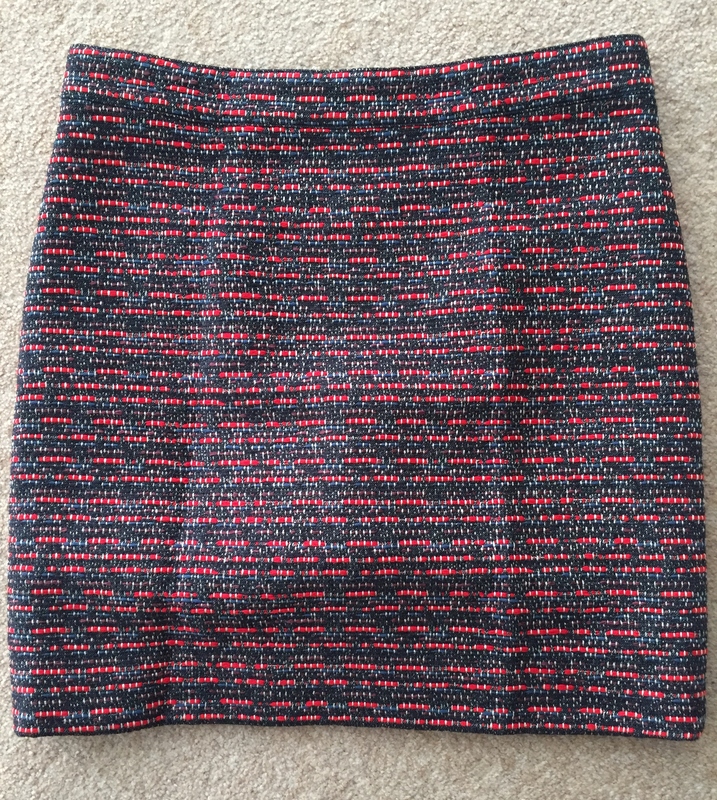 It retailed for £48. This one was donated by Alex Jones. She’s a Welsh TV presenter and currently hosts the BBC show: The One Show. All items were brand new which is an extra bonus in my eyes. Hopefully they beat last year’s total sales value. 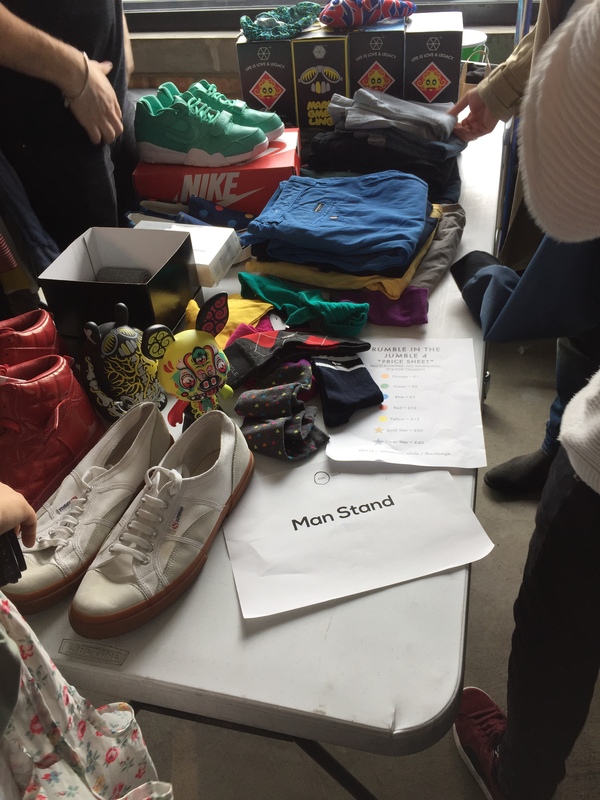 It was a great atmosphere with everyone searching for a golden find and donating clothes their own clothes to charity. I will definitely be returning next year (: Here are some photos from the event. Hope you enjoyed reading this post. Let me know your thoughts and whether there are any events like this in your region. Wowwww! I wish we had something like this in Canada or better yet if I’m wishing for something might as well wish for it to be in my city!! Oh well … let’s just hope this trickles down to Vancouver soon! On the contrary haha that is quite the amazing list of celebrity goodies donated and you snagged some really great finds. Those Keds are just way too cute!